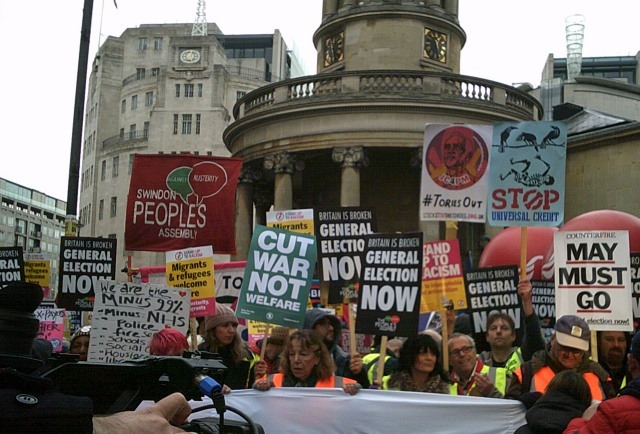 5,000 people demonstrated against the Theresa May Government against Austerity, Brexit and Homelessness. 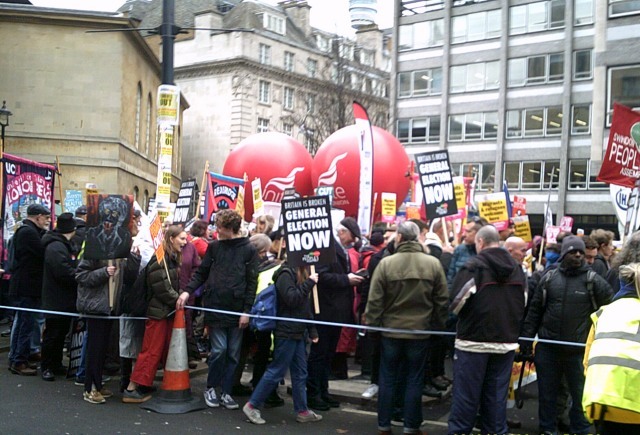 The march was dominated by the Socialist Party and the SWP plus other centrist groups. The main slogan was for a General Election Now and to elect a Labour government under Jeremy Corbyn. There were placards like “Britain is broken”, “General election now – Tories out”, “May must go”, and “Kick out the Tories”. 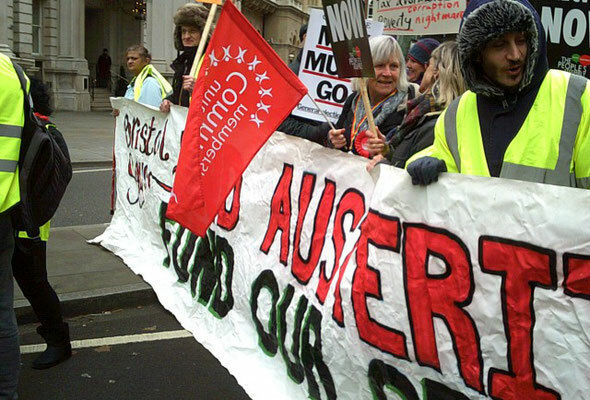 There were also banners from the Trade Unions including UNITE, National Education Union, UNISON, RMT, CWU and several Labour Party branches from London including Lambeth, Tottenham, Wood Green, Enfield North, Cantebury and Whistable New Forest and Liverpool West Derby. 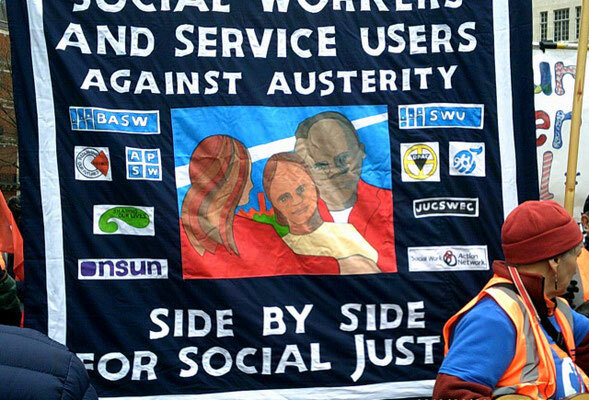 Other campaigning organisations also had banners on the march as well including the campaign against cuts in Disabilities and “Jewish Voice for Labour” – an Anti-Zionist organisation active in the Labour Party. 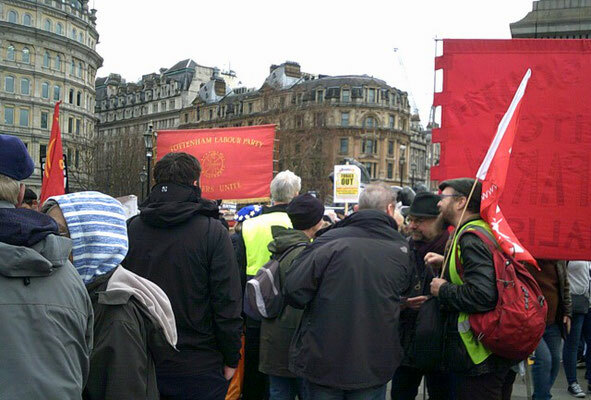 When the march arrived at Trafalgar Square there were several speakers including Steve Turner (Assistant General Secretary of Unite), Weyman Bennent (Stand Up to Racism) and Lindsey Germain (Stop the War Coalition). A speaker from the Yellow Vests campaign from France also spoke as did a former refugee from one of the Detention centres in Britain. The main speaker was John Mcdonnell, Shadow Chancellor and Jeremy Corbyn's closest ally. Mcdonnell said that there should be a general election now to elect a socialist Labour Government. “We want to take power now”, he said. There have been over 600 suicides from people sleeping rough in our streets. He said that May and the Tories want a no deal Brexit and on Tuesday in the House of Commons May will be defeated. “When the time comes and is right we will put a vote of No Confidence to bring forward a General election and the election of a socialist Labour government under Jeremy Corbyn"
No doubt, these are the reformist hopes of a reformist party leadership. The real task is to organize the class struggle in the workplaces and on the streets!